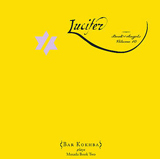 Lucifer is the first studio recording in ten years from composer John Zorn's most popular Masada line-upthe chamber sextet, Bar Kokhba. Although Zorn's reputation as the enfant terrible of music has followed him since the early '80s, his various Masada projects have been universally acclaimed, which showcase a surprisingly accessible side of this extraordinarily diverse and challenging artist. 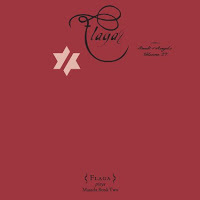 Culled from The Book of Angels (his second collection of Masada tunes, written in 2004) this session unveils some of Zorn's most melodic writing. Interpreted by six of Downtown New York's finest improvisers, these evocative Sephardic melodies are accented by a multitude of global traditions, including Latin rhythms, surf guitar and moody exotica. Violinist Mark Feldman, cellist Erik Friedlander and bassist Greg Cohen comprise the renowned Masada String Trio, responsible for numerous vibrant interpretations of Zorn's work. Guitarist Marc Ribot, drummer Joey Baron and percussionist Cyro Baptista make up the other half of Bar Kokhba. Although all six musicians perform and record regularly with Zorn in other contexts, this particular line-up hasn't recorded together in a studio since their 1998 debut, The Circle Maker (Tzadik). Eschewing his archetypal cut and paste aesthetic and quicksilver mood shifts, Zorn's Sephardic-inspired pieces from The Book of Angels cycle offer an opulent lyrical bounty, ripe for thematic development. The ten tunes presented here are exemplary models for such exploration, a challenge relished by the sextet, who have fine-tuned their rapport to almost telepathic levels in the ensuing decade. An album of resplendent beauty, Zorn knits back alley noir with ancient Hebraic invocations, basking the sinewy overtones of "Dalquiel," "Zechriel" and "Quelamia" in an eerie, dusky glow. Peppered with sprightly ebullience and bright lyricism, "Azbugah" offers a baroque variation on Yiddish traditions. Churning with rare ferver, "Gediel" taps into the unfettered energy of Zorn's Electric Masada, brimming with Ribot's searing fret-work and Baron's rollicking drums. The polyrhythmic verve of percolating Latin percussion, snappy pizzicato strings and reverb-laden guitar drive "Sother" and "Rahal." "Zazel" unfolds with majestic flair, and the powerful, episodic "Mehalalel" blends regal fanfares with cinematic atmosphere and dramatic passion. 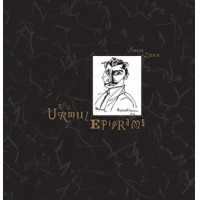 Sharing a remarkable similarity to The Dreamers (Tzadik, 2008), Zorn's recent collection of lush exotica, Lucifer is easily his most pleasing album to date. Melodically rich and rhythmically infectious, this will be an ear opener for those who've previously dismissed the composer as an eclectic post-modernist. Track Listing: Sother; Dalquiel; Zazel; Gediel; Rahal; Zechriel; Azbugah; Mehalalel; Quelamia; Abdiel. Personnel: John Zorn: composer, conductor; Mark Feldman: violin; Erik Friedlander: cello; Marc Ribot: guitar; Greg Cohen: bass; Joey Baron: drums; Cyro Baptista: percussion.